The profile and pipe processing introduction for extruding machinery will show how extruded products meet the needs of the market as well as the special characteristics of the plastics that are used and the efficient assembling uses in the production process. Materials that can be used for extrusion include PVC, HDPE, LDPE, PE, PP, ABS, PS, PC and PMMA. 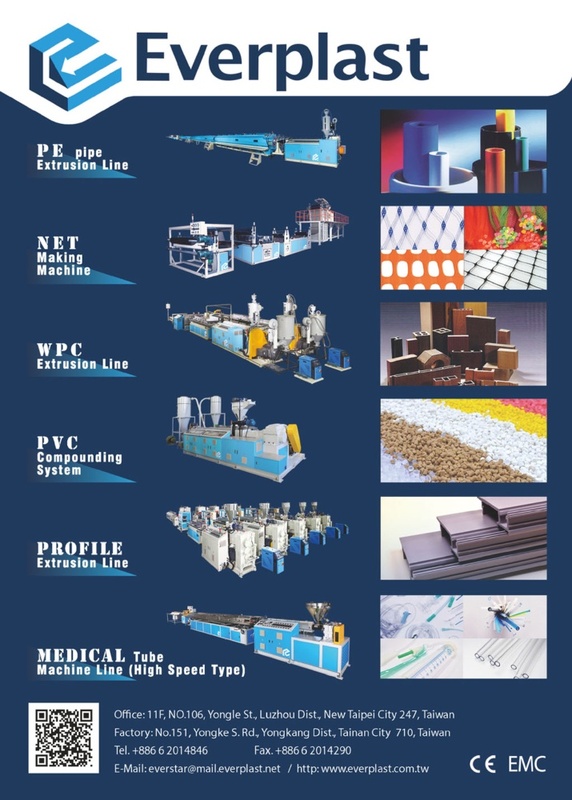 Products manufactured with these machines include construction materials, toys and stationery, furniture and furnishings, medical supplies, lighting decoration and electrical accessories, pipe, cosmetic tube, precision tube, steel pipe coating system, transparent tube, flexible PVC tube and reinforced hose. Since its funding EVERPLAST Machinery’s production line has turn out more than 500 extrusion systems over the years. The suitability of these products and their competitiveness on the market are directly related to the characteristic of the plastic materials involved and the processes and machine fittings used to make the extrusion products.